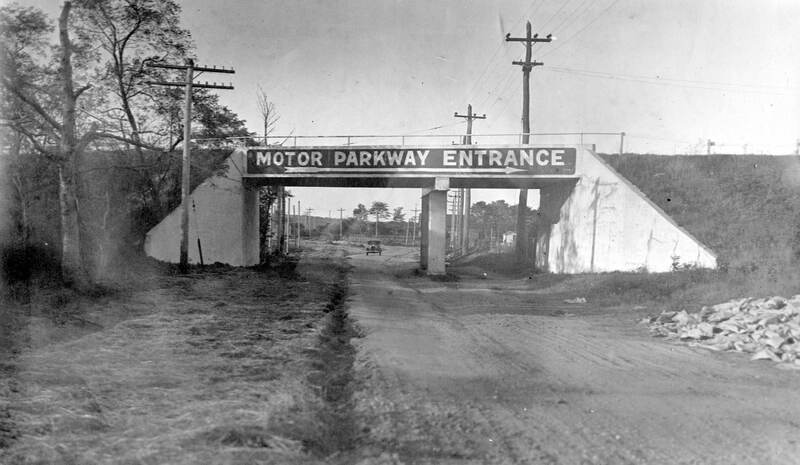 Going west to east, the 13th and 14th Motor Parkway toll collection structures was the Huntington Lodge, located 300-feet east of Broad Hollow Road and south of the Motor Parkway. 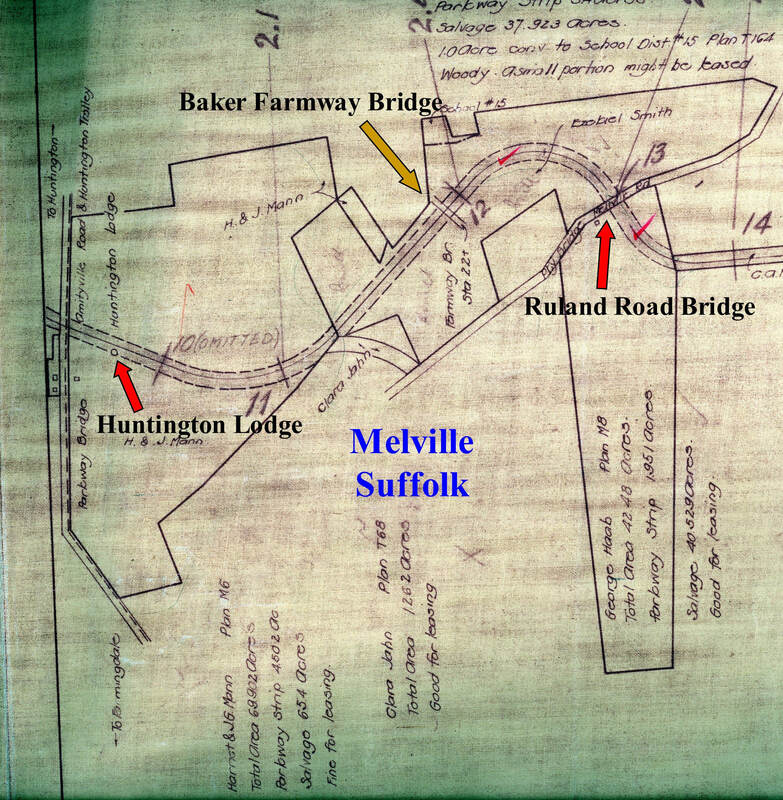 Confusingly, the Huntington Lodge was located in Melville and much closer to Farmingdale than Huntington. The first Huntington Lodge was opened on May 9, 1911, soon after the Broad Hollow Motor Parkway Bridge was completed. 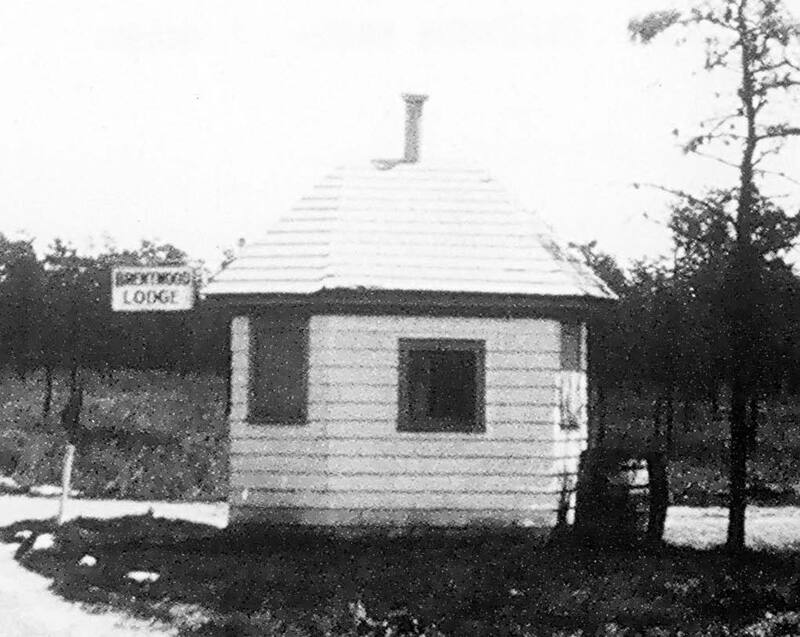 The "lodge" was simply a ticket booth, similar to the kiosks seen on Nassau Boulevard (Fresh Meadows), Jericho Turnpike (Mineola) and Washington Avenue (Brentwood). 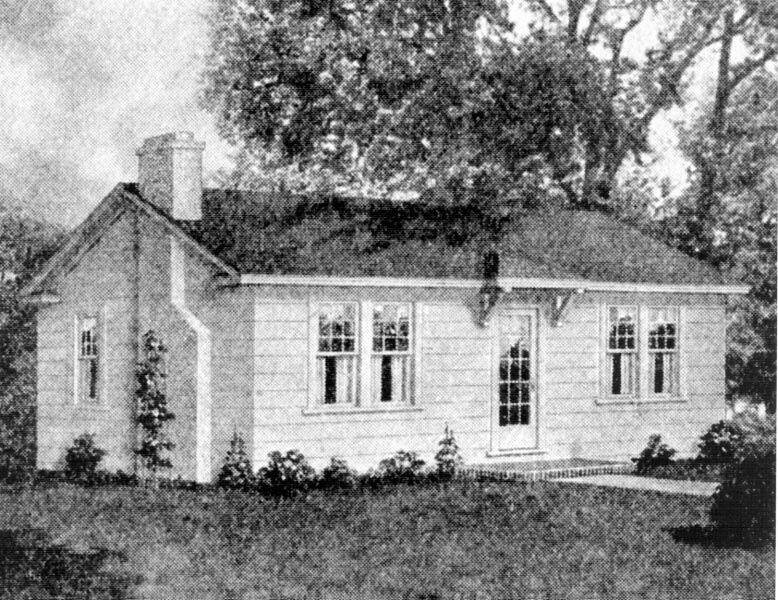 A new Huntington Lodge with living quarters was built by contractor Benjamin Haab in 1922. According to my favorite co-author Al Velocci in his book The Toll Lodges of the Long Island Motor Parkway, and Their Gatekeepers' Lives: "Haab was paid $2,144 for an eighteen by thirty one-story, four-room structure designed after the Mineola Lodge. It was on the south side of the Parkway roughly three hundred feet east of Broad Hollow Road, and within the hundred foot right of way. Haab also built an eight by ten extension on the Lodge's north side to serve as an office, with a double-width porte-cochere attached.". Unfortunately, there are no known photos of either of the Huntington Lodges. The above photo was the Mineola Lodge built by the same contractor with the same design as the Huntington Lodge. If any images surface, please email them to me at Howard@Kroplick.com . The first Huntington Lodge was a ticket booth kiosk similar to the "Brentwood Lodge". As seen in the Motor Parkway Atlas, the Huntington Lodge was located on the former 69.02 acre farm of John Mann which was pruchased by the Motor Parkway. 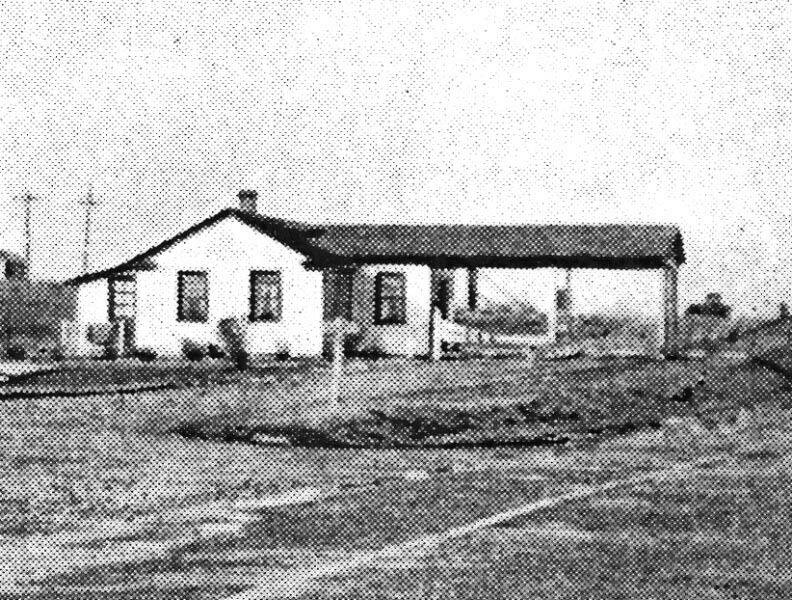 Although there is still no known photo of the Huntington Lodge, the design was the same as the Mineola Lodge seen here in 1929. A blurry view of the Huntington Lodge. 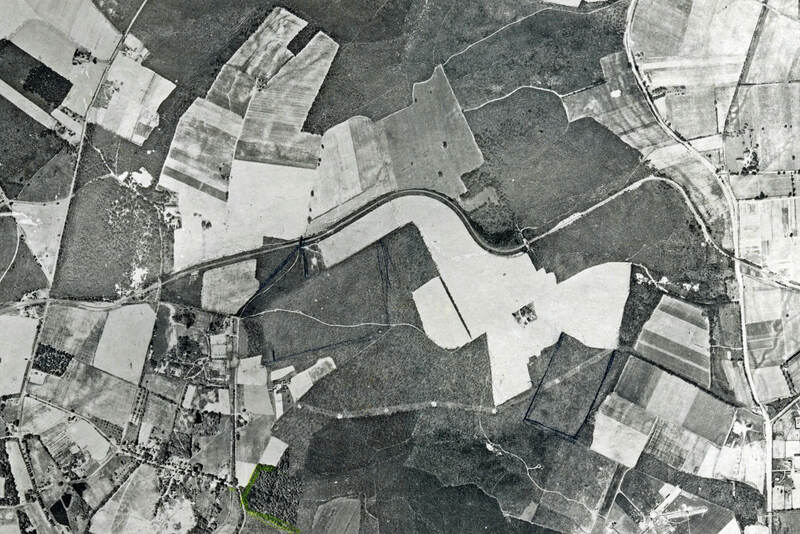 The Motor Parkway in Old Bethpage and Melville can be seen in the middle of this aerial. A close-up of the Broad Hollow Road Bridge. Note the entrance to the Huntington Lodge just below the parkway. Unfortunately, the Huntington Lodge is just a black dot. View looking north down Broad Hollow Road in Melville. The sign on the bridge points to the parkway entrance at the Huntington Lodge. 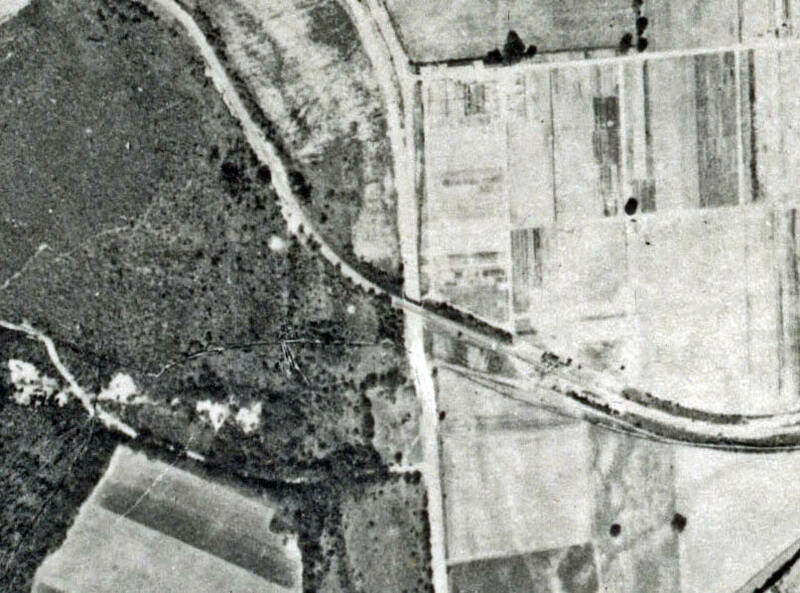 Broad Hollow Road can be seen on the far right. Let's take a closer look. Another blurry view of the Huntington Lodge. 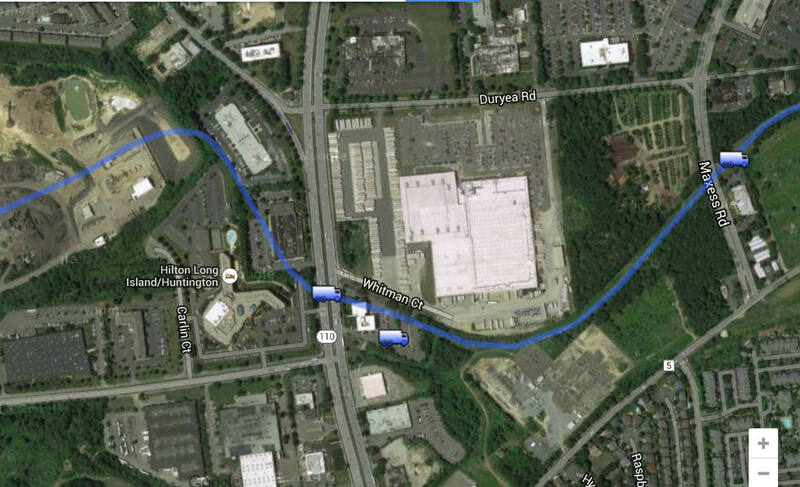 Check out Wayne Consolla's online Motor Parkway map to find the location of the Huntington Lodge. Hello everyone. Probably not news to anyone, but it appears that if the lodge stil existed; it would be in the rear parking lot of #555 Broadhollow Rd ( 2 large buildings ). 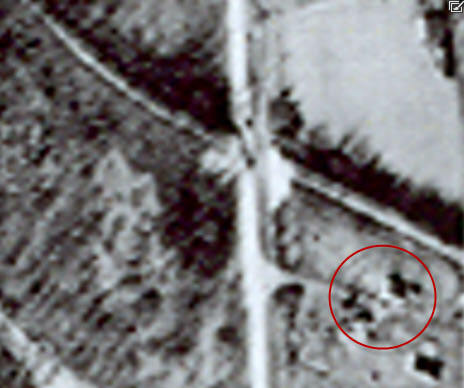 According to Historic Aerials, it looks like the lodge was intact in 1966. 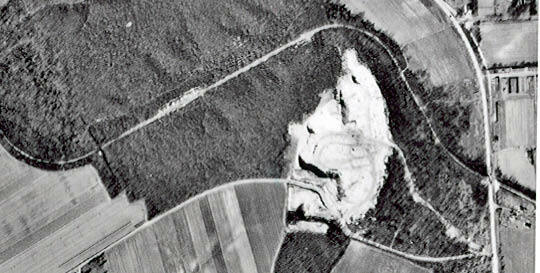 But the 2 existing buildings that are present show up in 1980.